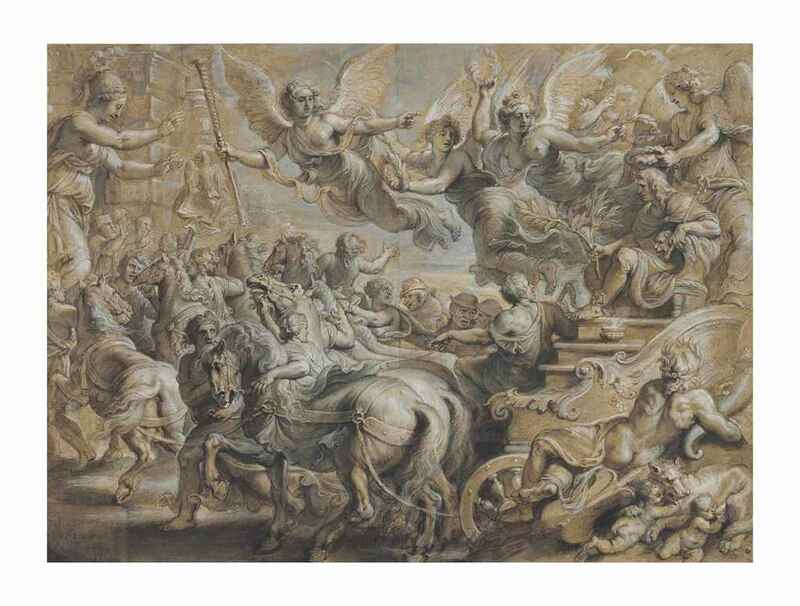 PETER PAUL RUBENS (Siegen 1577-1640 Antwerp), Scipio Africanus welcomed outside the gates of Rome, after Giulio Romano, black chalk, pen and ink, brown wash, grey, cream, white and touches of green bodycolor with heightening in oil. Estimate: $500,000-700,000. 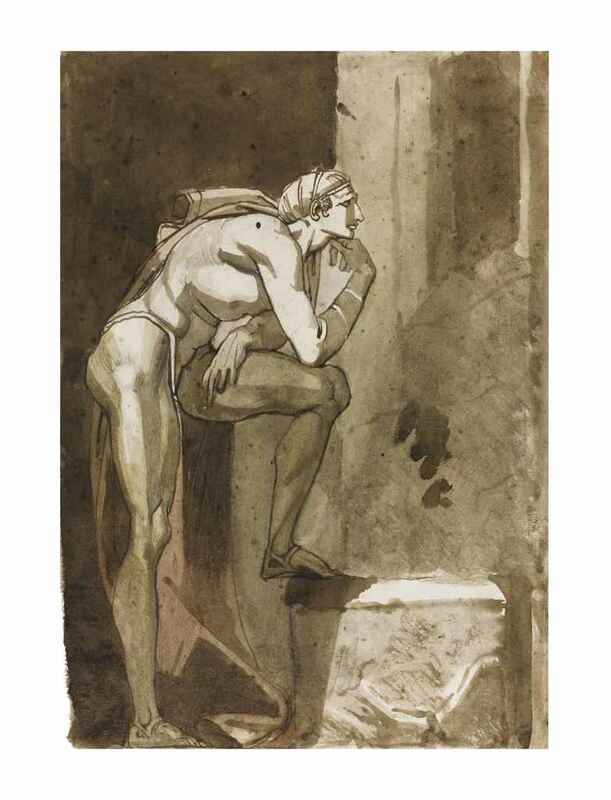 and a lavish design by Peter Paul Rubens inspired by a composition by Renaissance artist Giulio Romano. a View of San Francisco by the French Charles Meryon (1821-1868), printed around 1855. 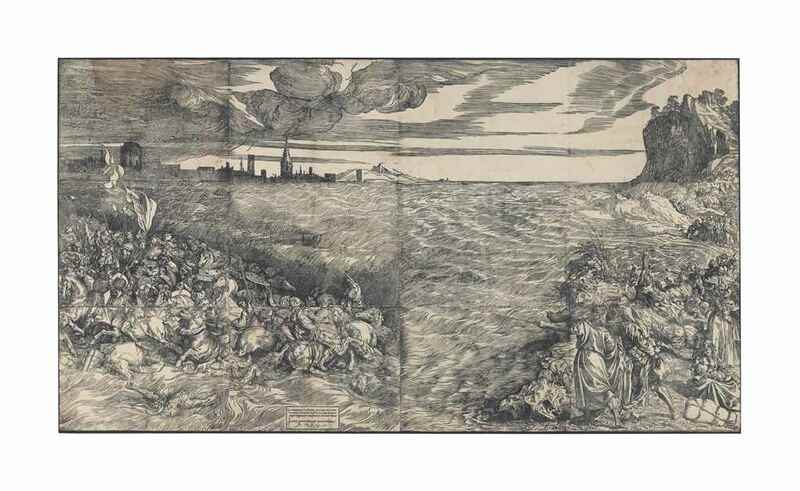 AFTER TIZIANO VECELLIO, CALLED TITIAN (CIRCA 1488-1576), The Submersion of Pharaoh’s Army in the Red Sea the complete woodcut printed from 12 blocks, circa 1514-15. Estimate: $200,000-300,000. The Submersion of Pharaoh’s Army (estimate: $200,000-300,000) after a design by Titian leads the sale and fills an entire wall in its scale.